So then I said "Tax cuts for poor people? 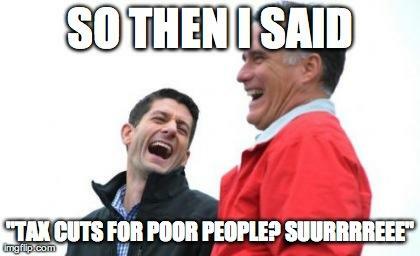 Suurreee"
"Tax cuts for poor people? Suurreee"